Ya’ll my kids were so excited about these it was worth it all!! So fun and so easy!! Perfect for all occasions in my case I served them before breakfast & they thought I was super cool!! Perfect for baby showers, gender reveal, birthdays and all in-between party’s!! 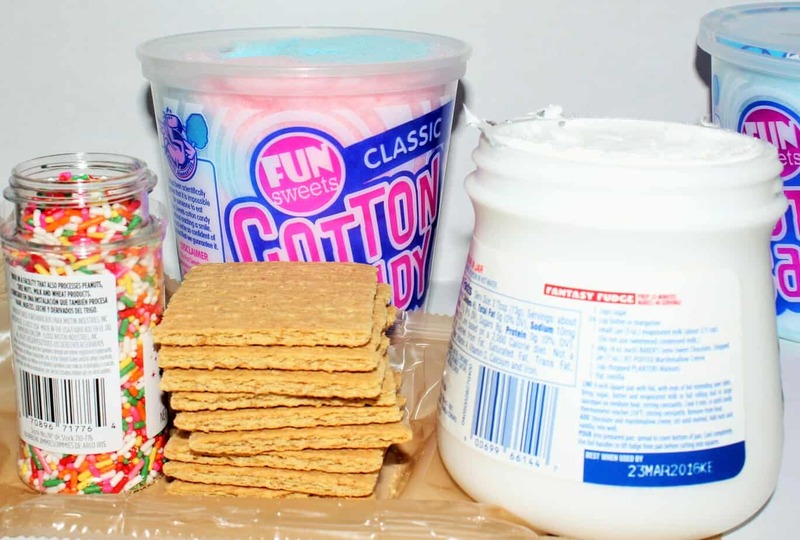 Get a spoon and place fluff on bottom cracker. 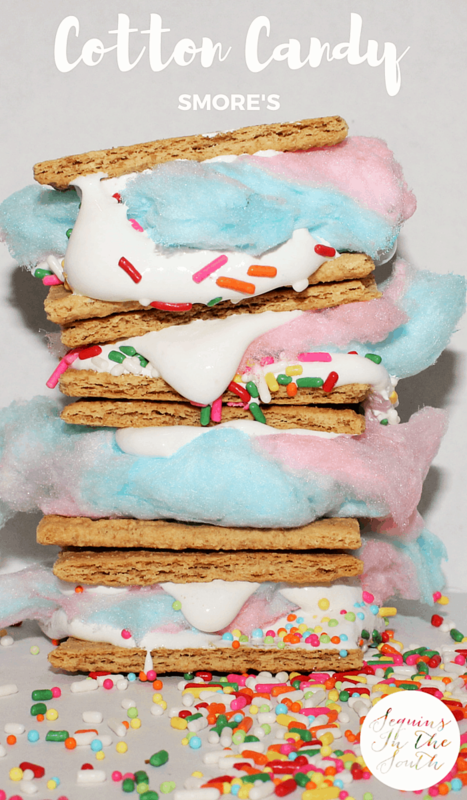 Place a good bit of cotton candy on top of sprinkles. Add a bit more fluff just 1/2 spoonful and top with cracker!! SO EASY & WITH A HUGE WOW FACTOR! Thanks so much for coming by means so much!! Such a Great Ideal! They would be great for parties. These look really cute and easy! In a kid's mind (and mine) nothing is too sweet! Sweet tooth overload, would be fun for a birthday party. I love Graham Crackers!!! Pairing them up with my favorite candy is such a great idea. Forget the parties, I am making this for myself. Yummy. SO MUCH SUGAR. I bet the kids would love this! this looks so good!! I have the biggest sweet tooth of all my friends and family. I am definitely going to plan on making this the next time the kids come over for playdate!! Sugar up mommy and send the kids home sugared up too! So this is my first time visiting your blog & I LOVE the description at the top! "Here in the South we don't hide crazy..." It's so true :) Love these colorful photos. I can't wait to see what you have up next. Ooo..my daughter would LOVE this! She loves cotton candy anything. BEFORE BREAKFAST?? 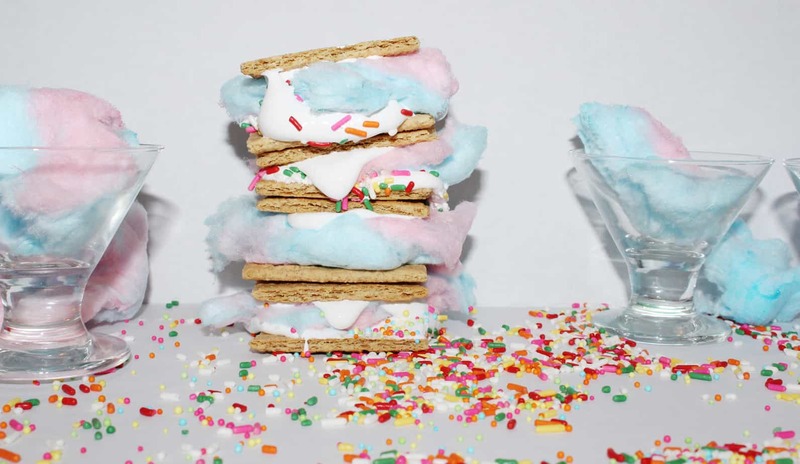 My kids would love you ;-) these would be especially great for a gender reveal party! OMG - so pretty to look at. Perfect for a birthday party - although maybe a bit sticky!! These are so cute and look yummy, I love the colors! How fun! 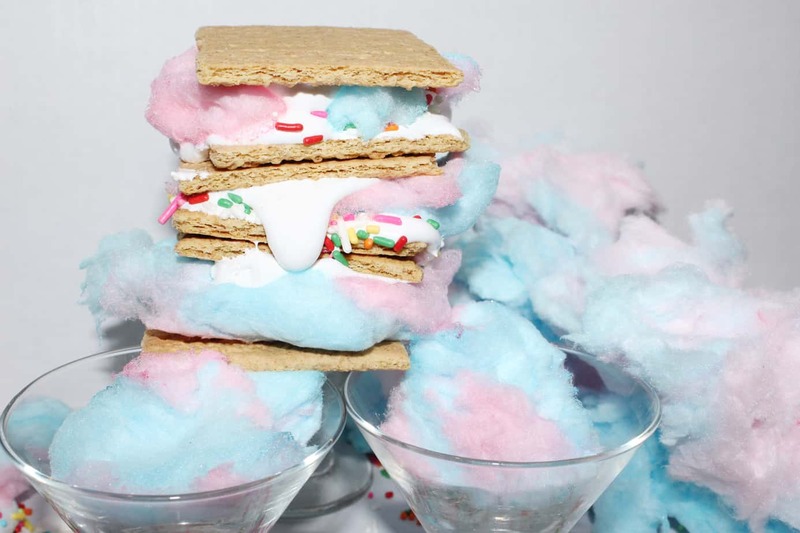 I don't like cotton candy but I love the "thinking outside the box" s'mores idea! 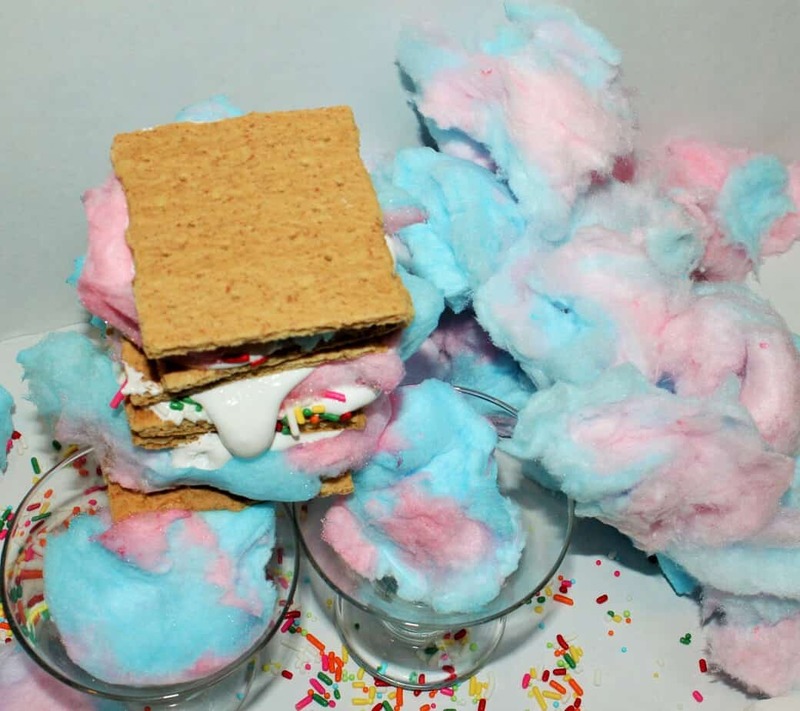 I can't wait for a party to take place, I'm making this with the kids this weekend! Love this fun and tasty idea. Dear. Gawd. I don't even wanna know how to make these cuz I doubt they would come out as good. I think I would just buy a plane ticket to your house (like not even to an airport just a direct flight to your driveway) so you could make me some of these. Oooooh and can you make a couple to go too??? Two of my favorites, amores and cotton candy! I have to try this. GIRL!! Those look amazing! They are so cute to even mess with! Though I know they taste amazing, so if I made some they would not last long! HA! I haven't had a smore in such a long time! Can't wait to try these babies!